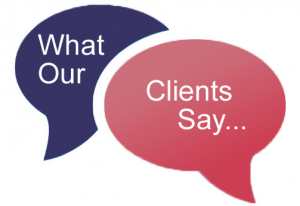 You are here Latest News What our clients say about us. Customer feedback is important to us and we incorporate feedback sheets on all our courses. This helps us evaluate our client’s needs and, where necessary, make improvements to our service. We value you feedback greatly and wish to thank everyone who has provided testimonials on our website and Facebook pages. See below examples of how our customer’s view our service. I have booked several courses through CCT now and they have always provided a high quality, professional service. Completed my mobile crane operators course today excellent course and instructor! I’ve been asked by Dorel Bratfalean to pass the following comment-he attended to the training sessions with Central ConstructionTraining Ltd and I am very please with them.The operator Course was very Interesting and complex.Thank you ,great people skills! I’ve really enjoyed my time at CCT. The staff have been great helping me when challenged and how to combat it. Dave and Ryan were my tutors and have been by me every step of the way, giving me advice on how to overcome certain obstacles. Dave structured our learning so we knew week in week out what we needed to do. I was privileged to be asked to build some of the practice roofs helping me understand how a roof is pitched. Now I have finished my apprentice…ship I hope to go on and use the skills I have been taught while sub-contracting. I cannot thank you all enough for helping me achieve this. I hope CCT continues to be helpful and well-structured like it was for me. Over all I have had a great time and wish all the staff and CCT all the best.